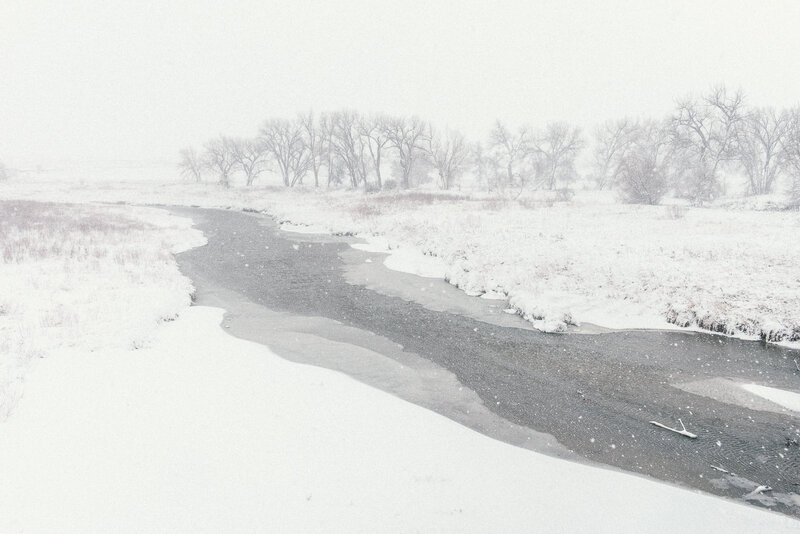 Snow coats the banks of the Cannonball River, the source of clean water that the Sioux consider sacred. The Cannonball is a tributary of the Missouri River, and it is under this that the Dakota Pipeline is being constructed. Lakota do not trust assurances by Energy Transfer partners that the pipeline will not develop a leak-- there have been a multitude of leaks in neighboring pipelines over the past several years.